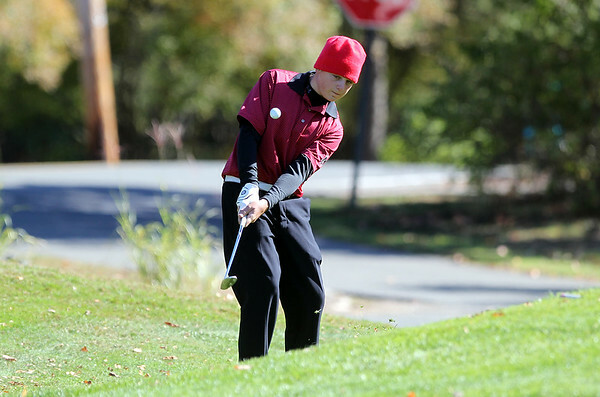 Marblehead senior Jake Kramer lofts a shot onto the green from during the D2 North Golf Sectional at Far Corner Golf Course in Boxford on Monday afternoon. DAVID LE/Staff photo. 10/20/14.